Lujo 5 Dormitorio 2 Baños Casa frente a la playa !! Fantásticas vistas al océano ya la playa desde balcón enorme, de dos niveles, con cocina completa, barra de bar, 2 salas de estar, lavandería, piscina, Wi-Fi gratuita, TV por cable. Ropa de cama y toallas de baño. Ofrecemos cambio de sábanas y luz gratis para reservas de más de 10 días. Reeflections 5 dormitorios de lujo frente al House está situado en Clifton Beach, 20 minutos al norte de Cairns en una de las playas más hermosas de Cairns. Sólo 25 minutos a pie de Palm Cove y 30 minutos en coche de Port Douglas. 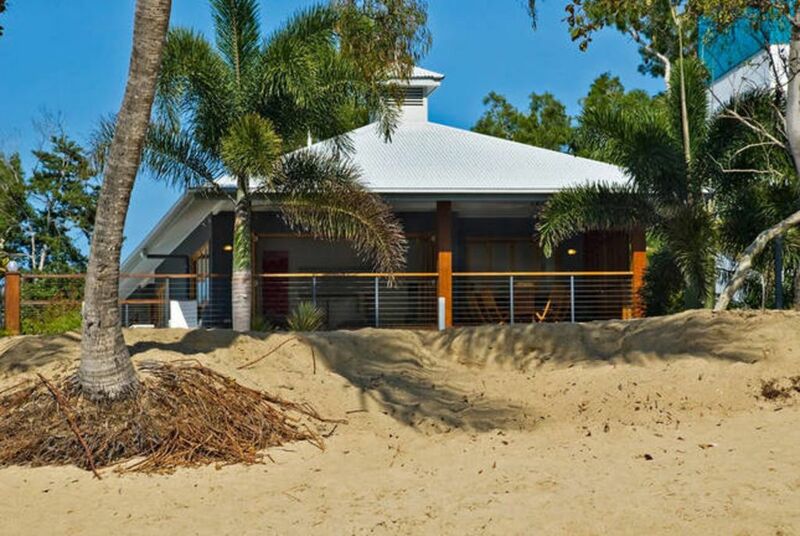 Great location, right between Port Douglas and Cairns. The house was exactly as advertised, and everything you would want and expect. We already understood that the beach, which is incredible, is not a place for swimming, but more for long walks and great photo opportunities. We used it as the perfect go between for our reef excursions and sight seeing. For, that it was great and everything you would ever want. We recently stayed at Reeflections at Clifton Beach- our family from Australia with friends from Canada. We used it as our base from which to explore the Cairns / Great Barrier Reef areas. The open plan, spacious areas ensured that everyone had lots of room. Our most enjoyable times were preparing an enjoying gourmet meals prepared in the well equipped kitchen and served on the open verandah. The proxity to the beach and stunning sunrises provided our guests with "trip-of-a-lifetime" memories. We will certainly be back! there were many examples of chipped crockery, the juicer was burnt out, however magic area and was just the location which lived up to our expectations. I am being a little 'picky', however it is marketed as top of the range. The house was amazing. It was wonderful to share with family and friends. My family and I returned from 7 nights at Reeflections yesterday. We had an amazing time thanks to this amazing house in an amazing location. The house is literally 5 metres from the beach, and from the timber deck upstairs, you can sit and eat, read, sunbake or watch tv while looking out over the ocean- you almost feel like you are on a boat in the middle of the ocean! The pool area, tv room and grass/garden downstairs is fantastic for kids and adults alike- it is completely fenced in so very safe for little ones!The beds are all very comfortable, the linen of good quality and the house was spotless when we arrived. The master bedroom upstairs has its own ensuite and balcony, and we loved the linen shute down to the laundry! Another positive was Craig the property manager, who is available a short walk away and was more than happy to help with anything we needed- e.g. he quickly arranged to change light globes when they went out during our visit! The photos of this house are exactly what to expect- a lovely modern house with lots of deck space right on the beach! We will definitely be back!!! El Reeflections Beachfront Holiday House está situado en el tranquilo suburbio de Cairns, en la playa de Clifton. El centro comercial Clifton Village está a solo 20 minutos a pie o 2 minutos en automóvil, Palm Cove está a solo 30 minutos a pie por la playa o 5 minutos en automóvil.